A youth leadership summit in Washington, DC, last year, sponsored by the Interfaith Youth Core – Photograph: Interfaith Conference of Metropolitan Washington. Chapters 2 and 3 are about the theory of interfaith. I break the term “interfaith” into its component parts, “inter” and “faith.” “Inter” is defined as the relationships between people who orient around religion differently. “Faith” is defined as the relationship between an individual and what we commonly understand as a religious or philosophical tradition (such as Christianity, Hinduism, or humanism). The term “interfaith,” therefore, has two profound implications: how do our relationships with those who are different affect our relationships with our religious or philosophical traditions, and how do relationships with our traditions affect how we interact with people who are different from us. 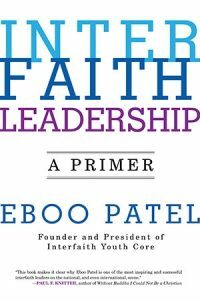 Chapter 7 highlights the intangible qualities that separate truly exceptional interfaith leaders from merely good ones. The conclusion summarises the main themes of the book in the context of a concrete example. Interfaith work is often referred to as bridge building. 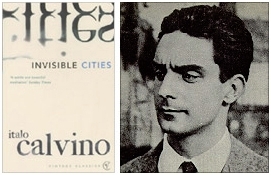 My favorite bridge is a literary one, from Italo Calvino’s beautiful book Invisible Cities. In one chapter, the traveller Marco Polo describes to the emperor Kublai Khan a particular bridge in his kingdom. The emperor grows impatient and asks Polo to get to the point. He wants to know about the stone that holds the bridge together. Without stones, retorts the traveller, there is no arch. 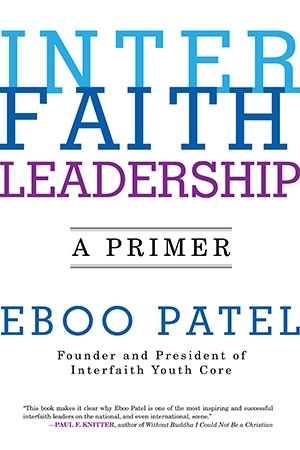 Interfaith Leadership: A Primer will be published by Beacon Books (USA) in August. You may read more and backorder this book here.